We have taken every precaution to ensure the accuracy of the information contained on the FEN Law and Migration Associates website. FEN Law & Migration Associates is not a Law Firm and, we do not practice the profession of the Law and/or, provide legal services. FEN Law and Migration Associates does not make any warranties or representations as to the completeness or accuracy of any information on this website. FEN Law and Migration Associates shall not be responsible or liable to any person or entity with respect to any inconvenience, misleading information or direct, indirect, special or consequential loss or damage however suffered, following reliance on any information contained on the site. 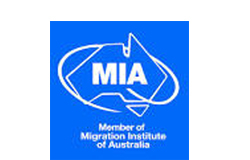 Information you obtain at this site is general information only and is not, nor is it intended to be legal or migration advice. It does not purport to be comprehensive and is not intended to be and is not a substitute for legal and immigration advice which evaluates your individual circumstances. FEN Law and Migration Associates web pages provide links and pointers to internet sites controlled and maintained by others. These links and pointers are included solely for the convenience of users, and do not constitute an endorsement by FEN Law and Migration Associates to the sites linked or referred to. The user takes the sole responsibility for use of third party sites. Please contact us for any immigration advice and assistance.